Available year round, but best during the winter. We are unable to ship live manila clams to Hawaii. Manila clams have a sweet flavor and juicy, plump, tender meat. A delicious, low-fat source of protein, they’re also high in a variety of healthy vitamins and minerals. These manila clams are purged in sea water post-harvest to divest them of sand and grit, ensuring their meat is clean & ready to use. They are the smallest & thus most tender size (25-35 pieces per lb). Japanese in origin, Manila clams were introduced to the American west coast unintentionally during the seeding of Japanese oysters to strengthen the west coast oyster industry in the 1920s. Farmed manila clams are regarded a sustainable seafood choice in terms of their environmental impact. 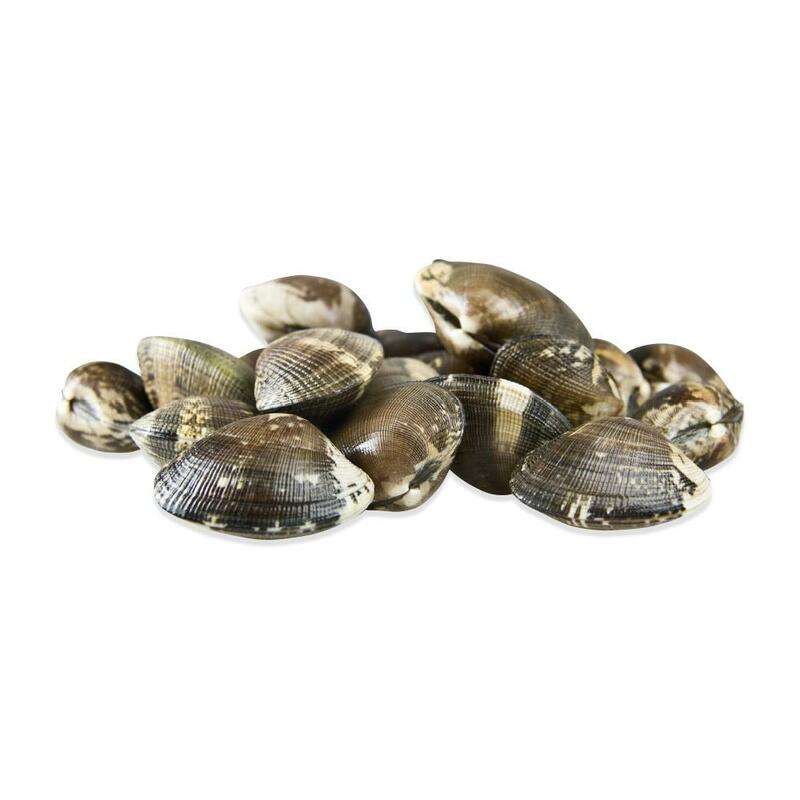 Store live manila clams in a bowl in your refrigerator covered with a damp towel. Manila clams can either be served raw like oysters* or cooked. 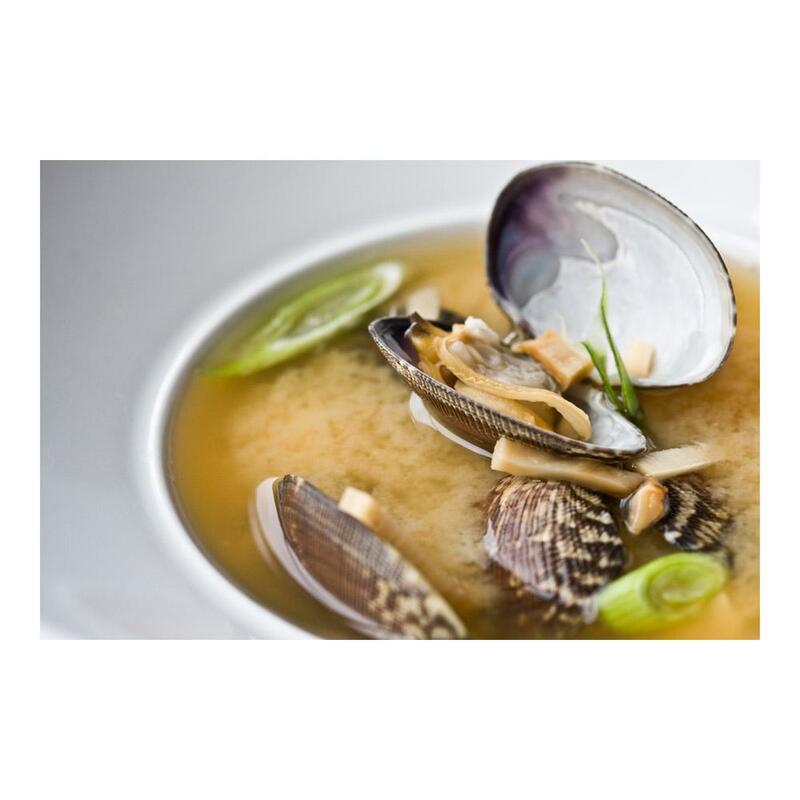 Manila clams are delicious gently steamed with or without aromatic vegetables or herbs. They can then be eaten as-is, or tossed with pasta, added to soup or used as an ingredient in other dishes. They can be opened before cooking and baked on the half-shell or have their meat removed for use in sautés, stir-fries, soups & stews. Pre-cooked clam meat is a tasty addition to salads.